Follow local emergencies. 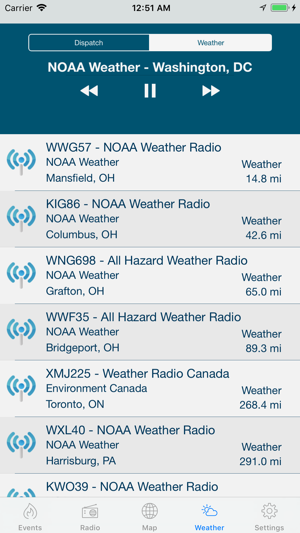 Keep abreast of hazardous weather with NOAA All Hazard Weather Radio. 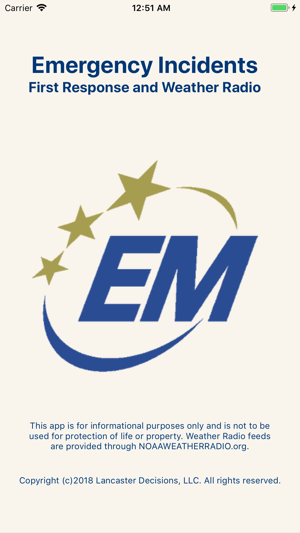 Nationwide radio feeds allow you to listen to emergency responders in Montgomery County as well as the surrounding communities including Philadelphia and New Jersey and other areas around the country and now around the world. Feeds include Police, Fire, and EMS through both county dispatch and fireground operations. 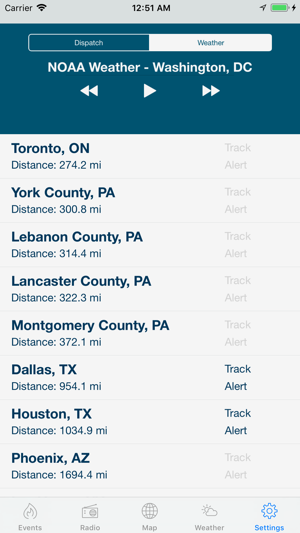 MontCo Emergency geolocates live emergency incident responses for Montgomery County, Pennsylvania and other communities. 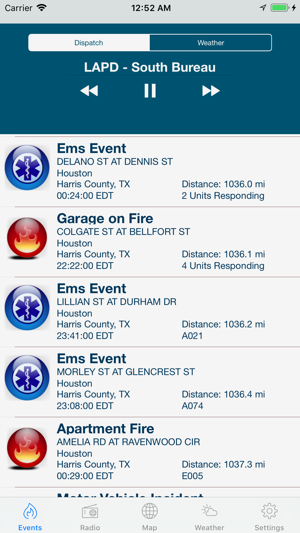 Find the location and description of current fire, EMS, and traffic incidents. 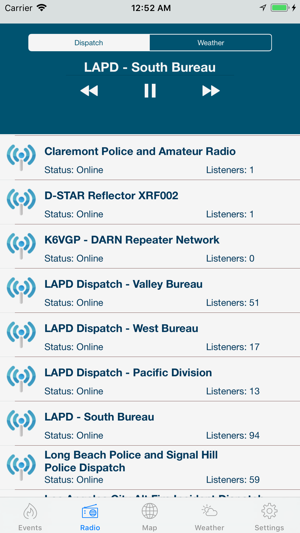 Radio feature lets you listen to the events as they unfold. While listening, MontCo shows you where the incident is, describes what is happening, and provides the details of who is involved. MontCo Emergency also provides invaluable information while travelling. By knowing the location of potential traffic problems, you can plan your route to avoid the possible delays. - Push notifications notify you of important events. - Information is automatically refreshed every two minutes so that you can follow the information as it changes and know when the emergency has cleared. 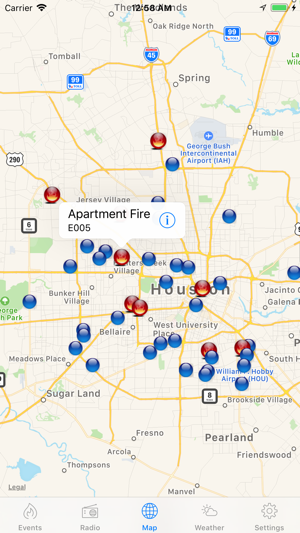 - Incident coded graphics indicate the type and location of incident. 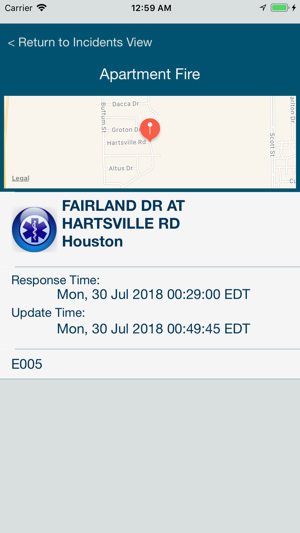 - Detail window describing the nature of the incident, time that it occurred in the local time for the device, location, and easily viewed list of responding units. - Incident notes for traffic events. - Zoom from detail screen to individual incident location on map. Switch between Emergency Radio Feeds and Weather Radio without changing views. Wondering what is going on with this app. The distances of some incidents are all screwed up lately. For example, there is an incident happening now that is about 2 miles from me. It’s saying it’s 120 miles. Several are like that when I go to check. In maps, my location is correct. What is going on? It’s frustrating. The app is a pleasing idea but first, the crashes need to be fixed. Second, the pages need to be more appealing and easier to use (make it fast, informative, and smoother handling when moving on the map) thirdly, they need to remove the annoying ad, it is ridiculous that every time I accidentally click on it. Lastly, but not least, the app icon is very unattractive. It's pretty ugly looking. The makers should make it a slightly darker blue and a golden yellow in stead of bright yellow as the county color/letter color. Other than that, it's a decent app. Take my advice and it'd be a 5 star app. As someone who works for MCDPS I think this app is great! I know (without being a dispatcher) what's going on in the county. I wish it had major police incidents but I understand there are legal issues with that. But more for traffic routing purposes it would be nice to know about accidents and other similar emergencies. Plus, you could link it to show APBs, amber alerts, etc, it would be good too. Police need all the eyes they can get on the road! Great concept though!